Greetings over there. First, I’d like to say thank you very much for taking your time to answer this interview. I truly appreciate this gesture. I would like to ask you to introduce yourself to our readers. Joe: I cannot start this interview without saying that we are a death metal band 101%. Both as musicians as well as a band, we come from the deep eighties. 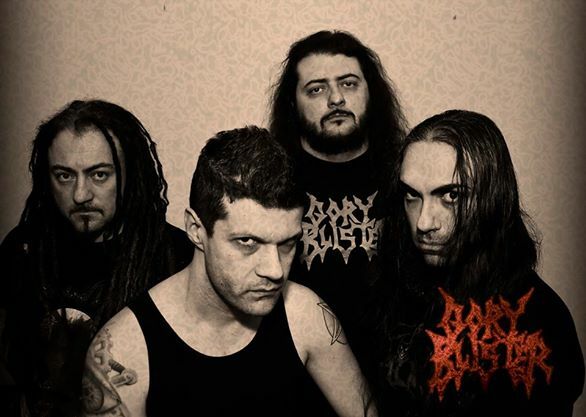 Born of the blindest rage of those years, we grew up as musicians listening to the masterpieces of Death, Pestilence, Coroner, Entombed, Atheist and Morbid Angel. Throughout our career, consisting of a couple of demos (1990 and 91) a mini CD (Cognitive Sinergy, 1996) and 5 albums, you can easily recognize those primordial influences, but you will certainly not deny our personal sound that we have tried to push every record a bit beyond. 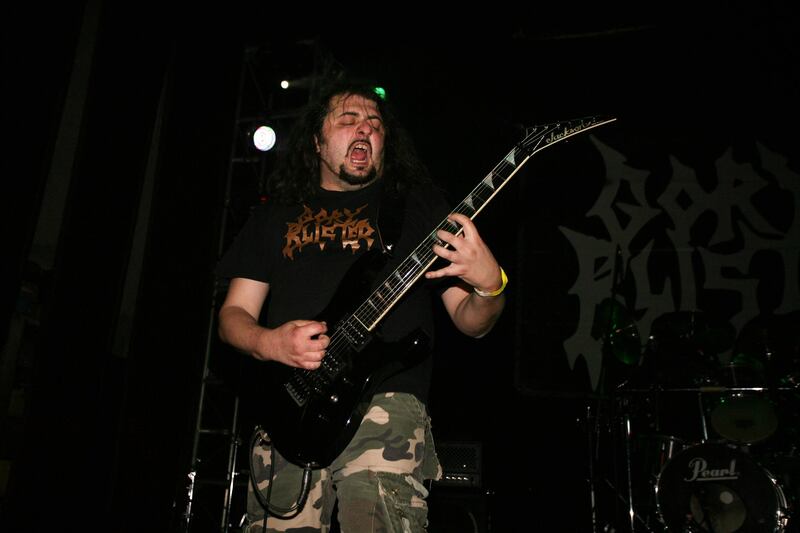 Our death metal is double sided, in the way we care about a “live” dimension and the technical aspect of the songs. The focus has always been on the balance between the two faces of the medal; rage and skills. In conclusion, we didn’t and don’t want to play a different genre pretending it’s death metal, we just want to play original songs. Listen to our albums and ask yourselves if we have managed to do it. 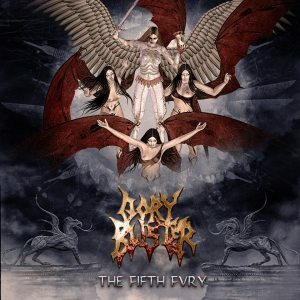 I believe you read my review on your latest album; of course I don’t dare to say that you remember it, but if you have a slight remembrance of what I’ve written, you know that I was highly impressed with The Fifth Fury. Could you let us know a bit, especially for those that aren’t familiar with it yet, more about this stunning release? I mean about the lyrics, composition process, how long it took to be recorded and how it has been received by the fans and critics so far? Raff: Sure, I read it man! And I’m glad The Fifth Fury is in your strings. Well, regarding the writing process we’ve focused on our method that we started to put into practice during the Skymorphosis sessions. Overall we have to decide if the first riff is drop down, what kind of album we would like to get, in terms of riffing, arrangements sounds and atmosphere. Once we agree on the common ideas, we begin to jam the first guitar lines and structures. 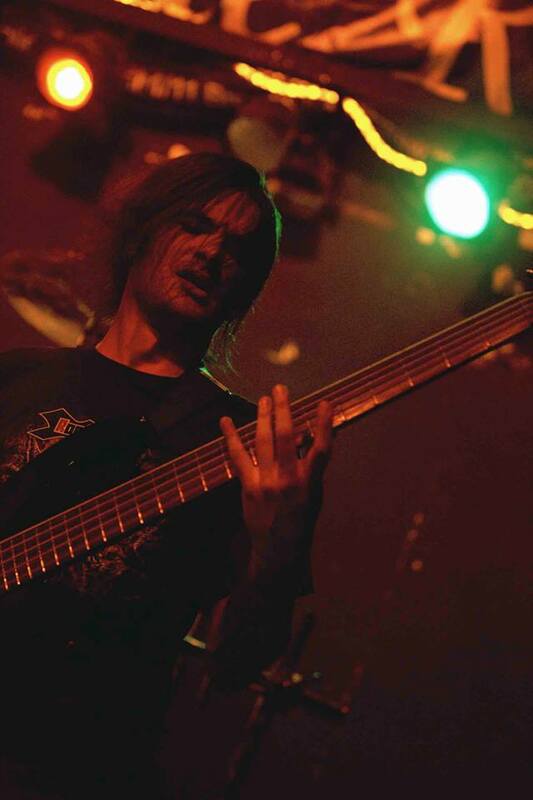 For each of our albums we try not to repeat what we have already done before, trying to introduce elements of novelty in the arrangements and the sound that distinguishes the new album from the previous stuff, without distorting the personality of the band, and without leaving the Technical Death Metal boundaries. The Fifth Fury is therefore the fifth evolution of our style, for which we have chosen a darker riffing and more groovy tunes, surrounded by suffering as well as more direct vocals; the ultimate goal was to achieve an “In Your Face” sound in this album, but at the same time technical enough and easily recognizable. So critics are pretty good so far. Still on your compositions, what does inspire the band to create the music you do, be it about the lyrics content as well as the music itself? And how important are the lyrics for you? Do you write the music first and then the lyrics or the opposite? 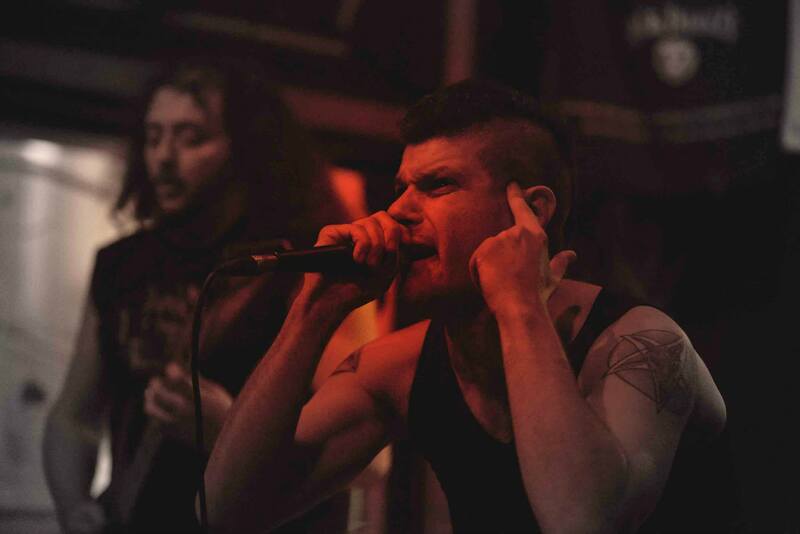 Raff: About the music, in general, almost the whole ’90 death metal scene that cames from USA and North Europe, influenced us for a very long time, and still does. Most of the bands that come from that era, as stated above are part of our DNA and still continue to inspire us. However, regarding me, I have also changed my listenings during the last 10 years, moving also on different genres, from Blues/Rock to Classical music, soundtracks and some Pop stuff (very little). Joe: As you may have realized, the lyrics are very important to us. When a new record is taking its form, I am already working on the basic ideas, even if not proper lyrics. So both music and lyrics grows up together in a way. When the basic structure of a song is ready, we try some vocal lines on it and the following step is to choose and to adapt one of the lyrics to it. This choice is made considering the sound and the rhythm of the words, as well as the theme. Gory Blister is known for having interesting arts when it comes to the booklets. How important are the cover-arts as well as the booklets for the band? And how do you choose the cover-arts for each album? Is it hard to “get” an image that completely integrates with what your work represents? Joe: My model has always been the “concept” album in the way of the early Voivod works. The cover and the lyrics must represent and give a general idea of what you are going to listen on the album. However, I cannot draw nor sketch, so I think up a possible cover and then ask some web artist to do it for us. Sometimes the outcome is surprising, sometimes not, but it is satisfying anyway. The band has been around for more than two decades, a more than commendable achievement. In these years of existence there must have been amazing moments and some bad, maybe even terrible ones. Could you tell us a bit about these moments, the hardships and moments of joy that you have experienced? Raff: Main hardships probably can be summarized in every time we had to face a line up change. We have always believed in the one who joined the band, but every time and for some reason, being artistic or not, we have been forced to change and therefore slow down the commitments of the band. Despite this aspect we were able to achieve the goals that each time we set ourselves for. But if I have to think about joy moments, everyone of that is related to the “live” experience. The first European tour, with Sadus and Darkane, the Evolution Festival in Florence just to point out. Although Gory Blister is not a band on tour throughout the year for a variety of obvious reasons, the Live dimension is our ideal habitat, especially when there is a good response from the audience. So the best moments are definitely attributable to the Live gigs. In addition to the previous question, and having in mind all the negative and positive elements that you have experienced when it comes to releasing albums, being in a band, what’s the driving force that motivates you on keep going, on keeping the band alive, playing concerts and releasing new albums? Raff: The love for music first of all, the love for my instrument, the guitar, the desire and the need to translate into music, emotional states and experiences of everyday life, almost as if it were a diary to whom you trust every day of your secrets and your feelings. It is also taking a trip in a world that’s only yours. Making an album is almost like a draw, a picture frame in a moment of life. Every time I listen to my album I remember how I was and what were my thoughts and feelings at that particular moment in my life. Still on the subject, how do you see the differences when you started and nowadays, especially when it comes to the music industry, the way the fans support the music and the Italian metal scene, do you feel it’s stronger nowadays? What are your thoughts on the overall Extreme Metal scene nowadays? Raff: Nowadays the Italian underground metal scene, can enjoy more exposure, especially compared to the past. It’s not always been this way. In the 90s, dominated by the American, German and the UK scene, the Italian one had to struggle a lot more to get for a quarter of the results of bands from other countries, just think of Sadist for example. In addition, very little has been made in the 90s by Italian labels and promoters to create an underground movement focused on Italian bands as opposed to the foreign scene, as Sweden did, creating a real trademark. Consequently, the Italian fans have been pushed to support the foreign scene cause the marketing made it look better and so the income of the music business grew more and more. So we always had to fight against. Another difference is that in the past when a label decided to take a band on its roster, they really believed in it, and invested some money of theirs in the band. Today, even the smallest labels have a very large roster, cause they don’t risk their own money. This means that instead of focusing on quality betting on a very good band, they point to bands ready to pay for the recordings and the release. This attitude proves that the goal of some label is not promoting and investing in some good music, but making money at all costs, in order to survive. Sad, but true! How important do you feel labels are? There are many bands out there releasing their music by their own, many times with quality and total control of the product. Do you ever think that Gory Blister could be one of these bands? And, so far, how satisfied are you with the work of Sliptrick Records? 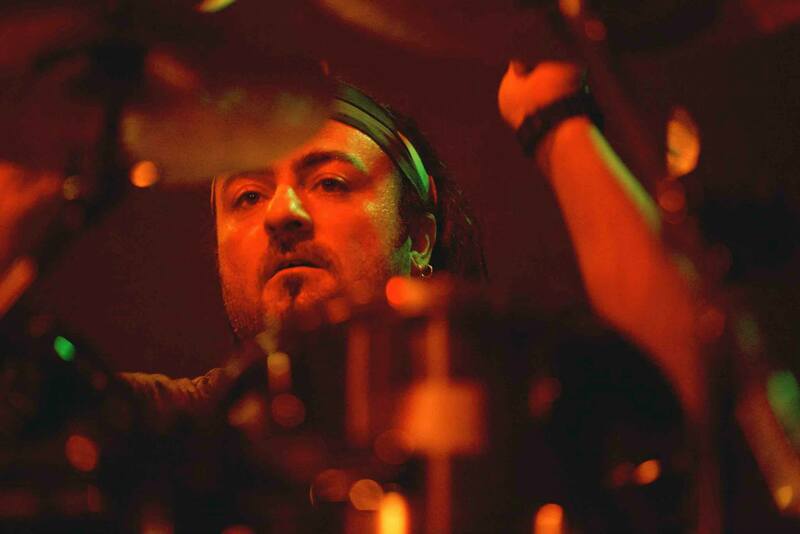 Raff: The bands cannot do everything by themselves. The point is not to control the own product, a band cannot manage the same channels a label has got to push and promote, because that is a full-time job. Large or small, today it is still important to have a label supporting the release of the band. But the point is, how much and if, they are willing to invest in their own bands? The Booking Agency now has a fundamental role in the promotion, but there are some costs, but you cannot always measure the return on this investment, so for this reason it is important to have a label next to a booking agency in order to plan what really is worth doing or not. Otherwise the agency is likely to become just a money sucking. 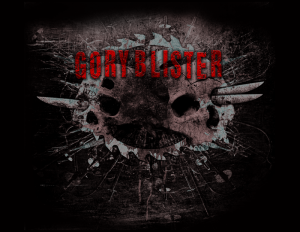 Gory Blister has the artistic control on their own music, and for now we’re satisfied with the work of Sliptrick Records. The following three questions are some that I enjoy asking in my interviews Just to know a bit more about the man behind the music and one simply to have some fun. The first one concerns your main activities outside the metal world. I’d like to ask you to share with us some of your main interests, hobbies or passions outside the music. Do you prefer relaxing at home or do you enjoy partying more? Are you more of a city or nature person? Any favorite books, movies, drinks? Anything you’d like to share with us. Joe: What we do far from the music activity deals with jobs… I have to get a salary, you know! I’m an English teacher, profession that I try to take on not without strong difficulties in Italy. But I have also worked for TV and cinema productions, I’m a production assistant and runner. Of course I like to literature as well, that’s why you may recognize some influences out of my lyrics (romantic poetry for instance). Moreover I am a lover of Belgian beers. Some of my fave are Lachouffe, Montagnarde and Fantome. Books: Hamlet (W. Shakespeare), 1984 (G. Orwell), Sarah Kane, Complete Plays. Movies, the first three on my mind: Clockwork Orange (Kubrick), Alien (R. Scott), They Live (J. Carpenter). Now I’d like to ask you how you got involved with metal music. When and how you got involved with this fascinating musical style and what made you start listening to it? Was it about the dark atmosphere, rebellion? And when did you decide that you “had” to create music, or better, when you felt the urge to become a musician? Joe: Well, I don’t know if you can imagine what does it mean to grow up in a little town in South Italy in the eighties. Or maybe yes. Maybe it was the same in the old Stockholm underground when a bunch of bad guys used to stay at night listening to Venom and drinking beer… we wanted to escape from a damned reality and at a certain point of our lives extreme music represented a way out. Of course ordinary music couldn’t do the same. Then, we felt it wasn’t enough and everyone of us bought an instrument and tried to play it. Do you know Christiane F. from Berlin? We were luckier. The question that I ask just for the fun concerns a Seinfeld situation… Obviously it’s a rather silly question quoted from the show just to lighten up the interview. “Let’s say you’re abducted by aliens. They haul you aboard the mother ship, take you back to their planet as a curiosity. Now, would you rather be in their zoo or their circus?” And why did you make this choice? Joe: I’d rather believe aliens were on our planet thousands years ago than they would come and take one of us. Anyway, circus is more amazing, but with no animals! Alas we have reached the end of this interview. I hope you have enjoyed it and so the cherished readers. I also would like to wish you the best in your present and future plans. Do you have any last words for our readers? We hope to play several gigs abroad. Our live experience in Germany and The Netherlands was wonderful and hope to hit the stage there as soon as possible. Moreover I would like to thank all the real supporters who are going to buy an official copy of our albums or a T-shirt. Thank to you guys, cause you give us all the dedication, commitment and passion we can put into our death metal! See you live! The Fifth Fury is haunting you!